3rd generation auto-flowering variety. It is a hybrid cross between a selected strain of automatic White Widow from Sweet Seeds´ R&D Department and a selected strain of SWS24 (S.A.D. Sweet Afgani Delicious Auto®). 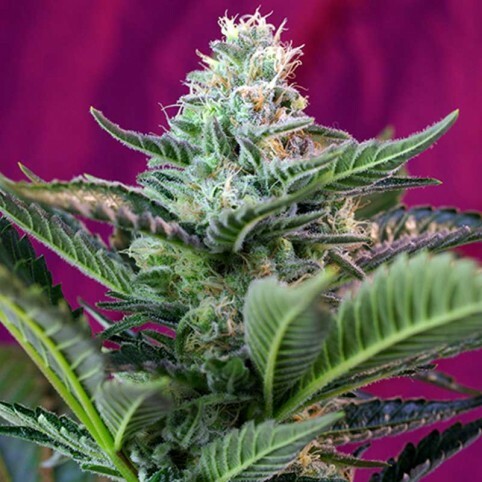 This auto-flowering strain exhibits great hybrid vigour, is easy to grow, and produces thick buds covered with aromatic resin which has a potent, long lasting effect. It has an exquisite aroma, very fruity, fresh, and floral with sweet musky undertones. We’re proud to announce the arrival of Jackpot, an outstanding cross of the legendary Jack Herer and..
Our Auto OG Kush just got even better with the addition of Colorado Ghost OG cannabis seeds.In this ..